John Baldoni is an internationally recognized leadership consultant, coach, and author of more than dozen books that have been translated into 10 languages. In 2018 Inc.com named John a Top 100 speaker. Also in 2018, Trust Across America honored John with its Lifetime Achievement Award for Trust, and Global Gurus named him a Top 30 global leadership expert, a list John been on since 2007. In 2014 Inc.com listed John as a Top 50 leadership expert. John began his business career in a fifteenth floor office with a view of a private golf course. Around the corner was a commanding view of the Pacific Ocean. In between was a recording studio where John produced and edited corporate radio spots. But John gave that all up to start his own business in the spare bedroom of a beachfront rental more than three decades ago. In time, John established a career as a highly sought after communications consultant and leadership coach, where he had the privilege of working with senior leaders in virtually every industry from pharmaceutical to real estate, packaged goods to automobiles, and finance to health care. John’s newest book is MOXIE: The Secret of Bold and Gusty Leadership, which explores the grit and determination leaders need to exert to overcome challenges. Blending real-life stories with research and interviews, John provides a roadmap for how leaders can lead with greater awareness, more determined purpose and focused engagement in order to achieve inspired results. MOXIE earned a coveted 5-star review by Success magazine. His tenth book, Lead With Purpose: Giving Your Organization a Reason to Believe in Itself, solidified John’s reputation for blending thought-provoking ideas with pragmatic advice. Over the past decade John has established himself as world authority on topics that matter to leaders who are seeking insight into leadership challenges of the day. His 2012 book, The Leader’s Pocket Guide: 101 Indispensable Tools, Tips and Techniques for Any Situation, has been recognized as a practical resource for those seeking to improve their leadership skills. His follow-up book, The Leader’s Guide to Speaking with Presence, has provided insights that managers need to present their messages and themselves authentically. 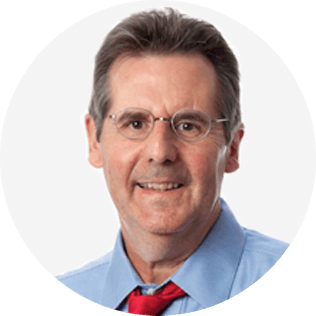 John has authored more than 600 leadership columns for a variety of online publications including Forbes, Harvard Business Review and Bloomberg Businessweek. John also produces and appears in a video coaching series for Smart Brief, a news channel with over 4 million opt-in subscribers. Through his articles, books and videos, John has become a source of practical wisdom on topics such as influencing without authority, applying power appropriately, leading with grace and conviction, and developing genuine followership. All of these topics complement John’s mission to help individuals and their organization achieve positive results. Consequently John’s books have been translated into multiple languages including Mandarin, Hungarian, Arabic, Indonesian, Japanese, Korean, Spanish and Vietnamese. John speaks widely to corporate, professional, military and university audiences. Those who attend John’s keynotes and workshops find his advice to be practical and his advice inspirations. Mixed with stories of great men and women, and leavened with light-hearted humor, John seeks down-to-earth practical advice that individuals can apply immediately. John’s presentations blend his passion for leadership with genuine enthusiasm for helping people achieve their leadership ambitions. John lives in Ann Arbor, Michigan with his wife Gail who is an executive in health care. For fun John golfs and plays piano at area hospitals and at an adult day care center. The Know-Change-Lead Equation explores questions every leader must ask her/himself in order to lead more effectively. This program is a distillation of coaching lessons that I have used in my executive coaching practice and it is designed to help you become a more self-aware, more focused, and more engaged leader. Corporate executives are expected to demonstrate moral leadership in the face of social change. Not only do employees expect it, so do consumers. How leaders respond to today’s challenges will define the legacy as leaders as well as the prosperity of their companies.